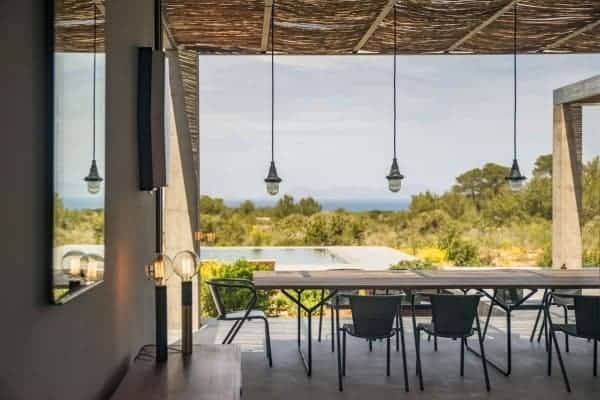 This brand new, west-facing luxury villa was built and designed specifically for the remarkable view of pine and Sabine woods on the sandy red Cap de Barbaria over the white sand of the Cala Saona and the sea to the mythical rock island Es Vedrà. 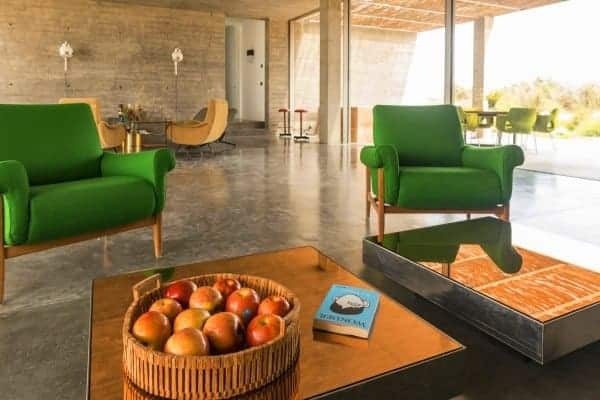 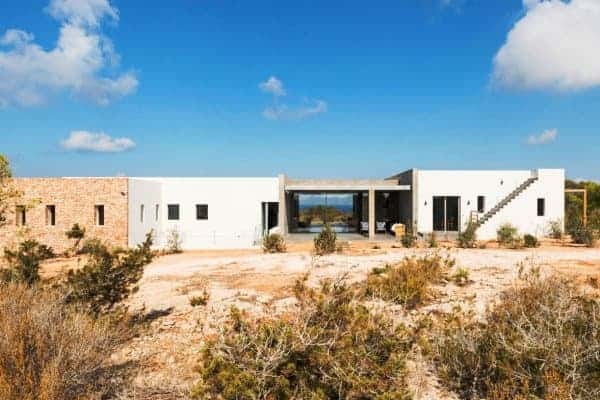 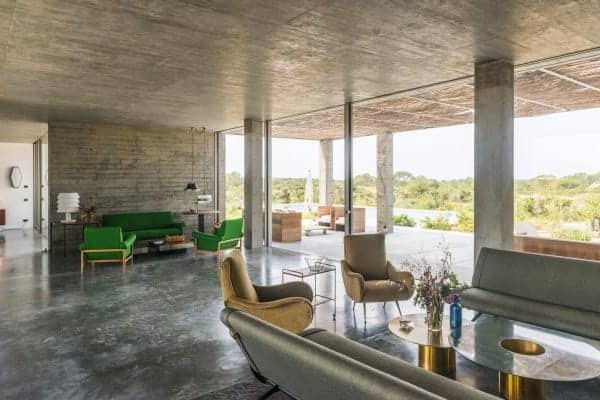 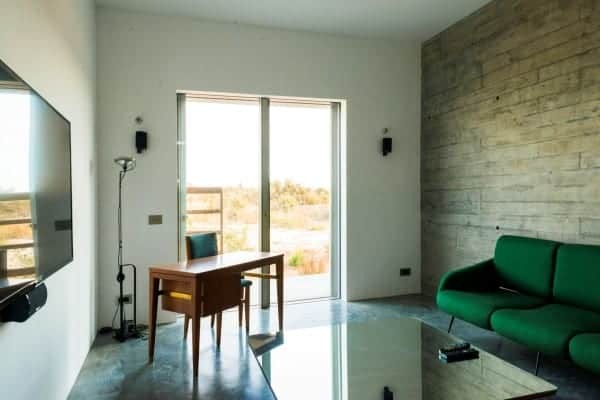 The sunset and spectacular scenic views of unspoiled Formentera is evidently the source of the architectural inspiration for the creation of this villa. 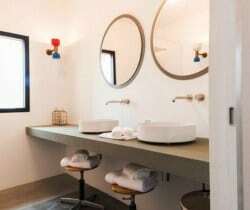 Equally admirable is the 3,000 sq. 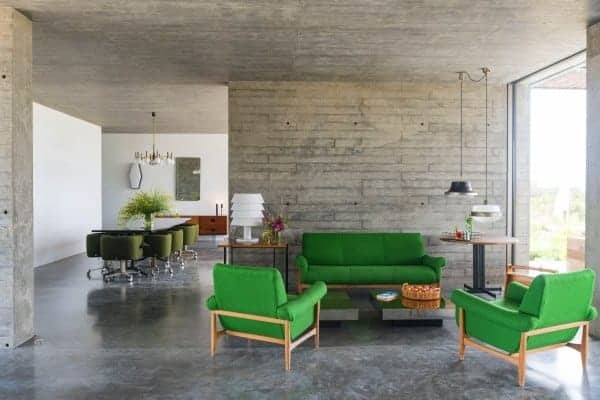 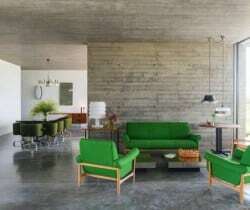 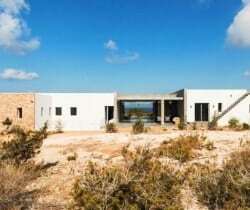 m property’s seclusion one hundred metres along a private dirt track road. 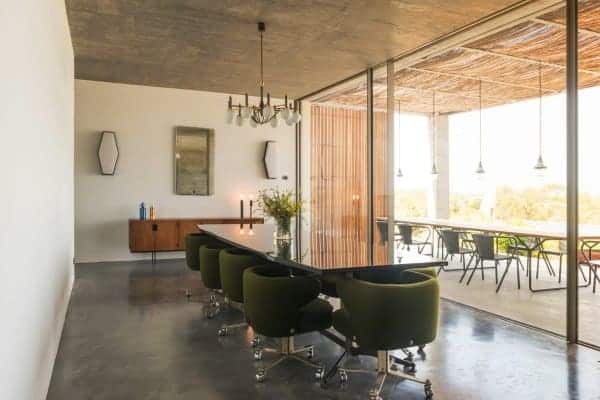 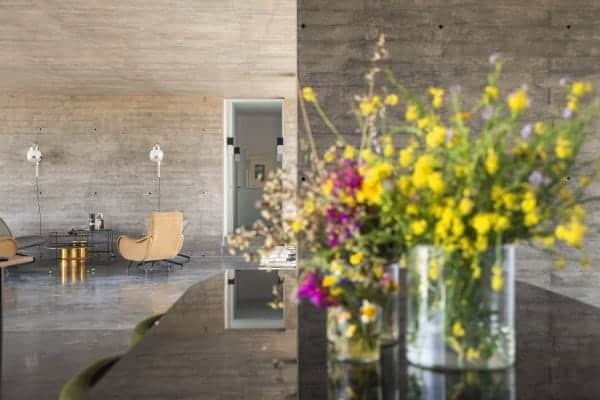 The overall design concept of this stylish and modern luxury property is expressed by continuous bright open interior spaces, symbiotic and seamless with the external terraces and the surrounding landscape. 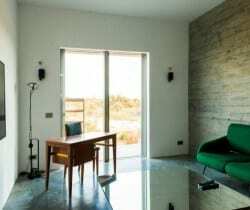 The villa lies close to the island’s most important beaches and the small village of Sant Francesco (all 10-15 minutes by car) and on arrival you are immediately awed by the see-through view of the inspiring scenery, courtesy of the unusually high ceilings and windows on both sides. 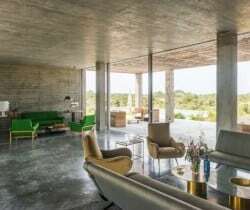 The linear architecture with a modern but simple quasi-industrial design allows the villa to effortlessly mesh with its surroundings. 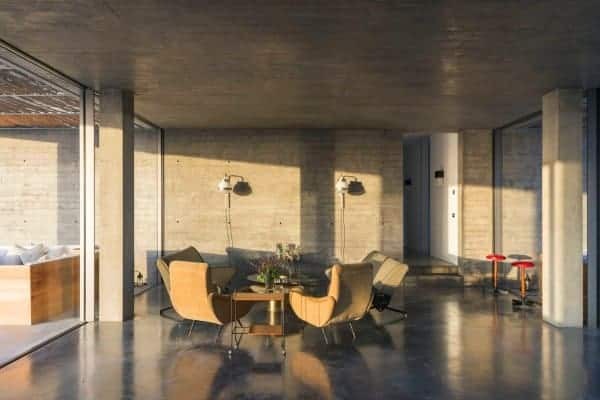 There is plenty of space within, with voluminous living areas that face and open to outdoor terraces and a main lounge that separates the two bedroom wings to provide more independence. 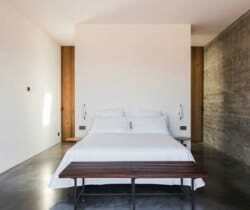 Exposed local stone feature walls reinforced with concrete juxtapose against smooth pristine white walls. 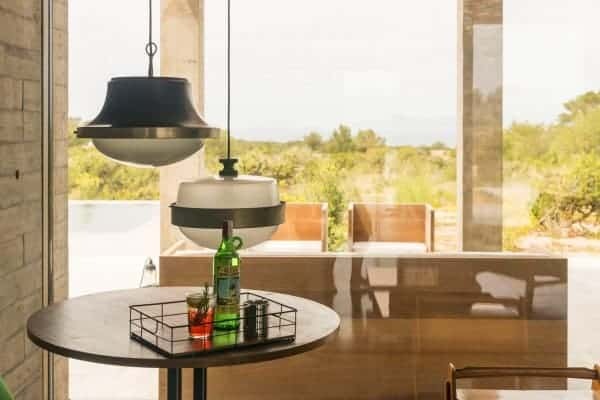 The contemporary and bespoke furnishings mixed have been specially chosen to be mixed and matched with aplomb with vintage Italian design, which extends up onto the roof terrace with an uninterrupted and indescribable 360° islands and sea panorama. 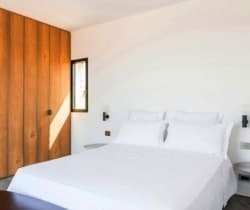 The 350 sq. 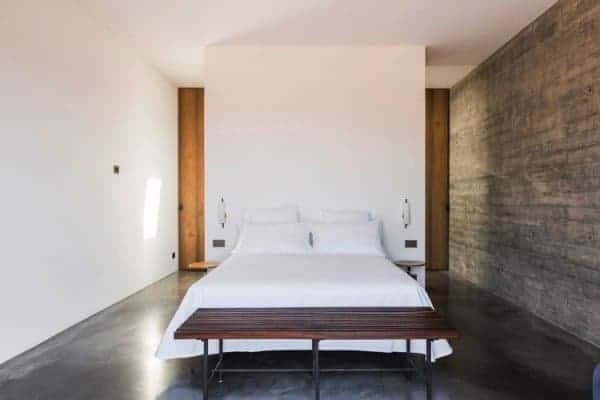 m luxury villa has air conditioning in all rooms including 5+ spacious and aptly modern bedrooms to accommodate up to a total of 14 guests. 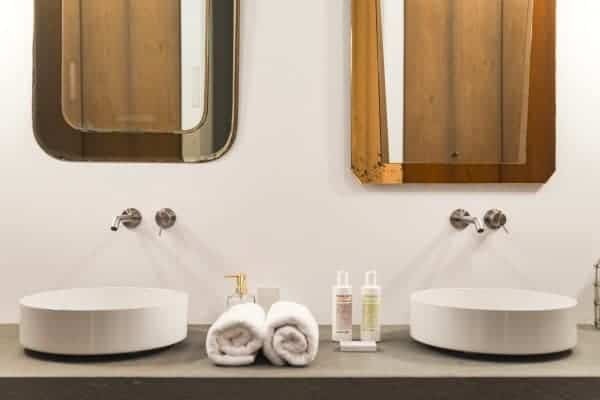 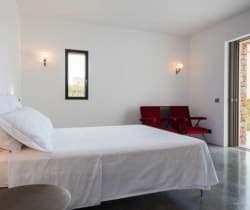 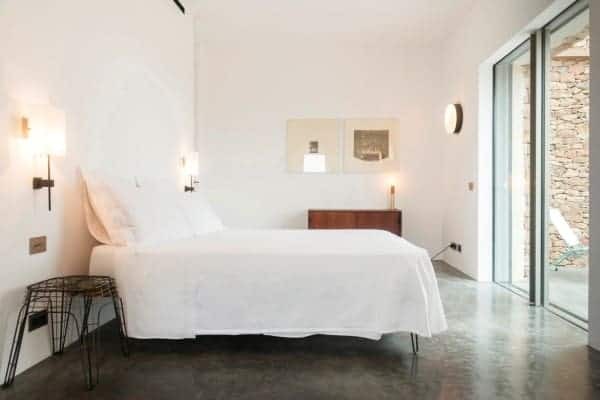 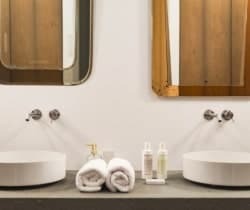 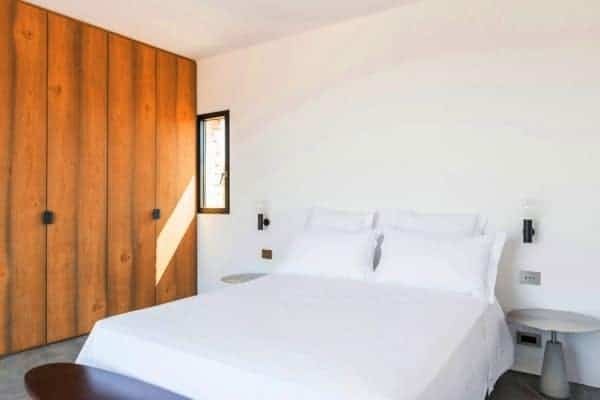 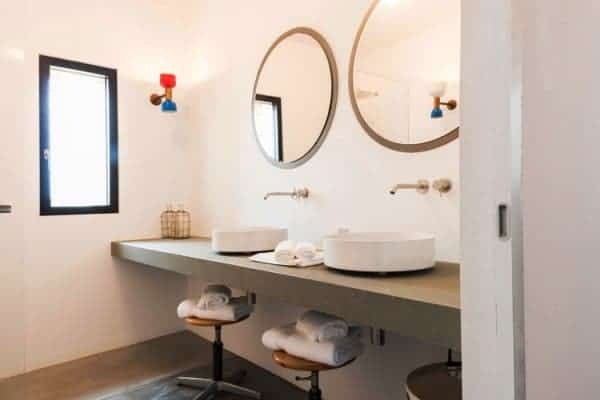 Sight of Es Vedrà can be enjoyed from every corner of the villa and from the bedrooms, each arranged with a private terrace and en suite shower. 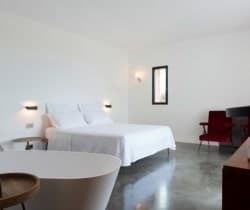 There is ample space for all to enjoy one another’s company and also to enjoy a high degree of independence for private rest and relaxation. 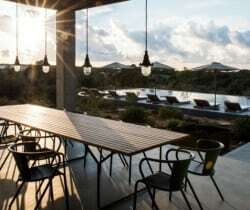 With its state-of-the-art technology, that includes an integrated sound system, discrete external lighting and a long, seemingly floating infinity swimming pool, the villa’s uncommonly lovely outdoor terraces offer the most captivating settings for barbecues, aperitifs with a quintessential view of the sun setting behind Ibiza and large leisurely suppers under a canopy of stars. 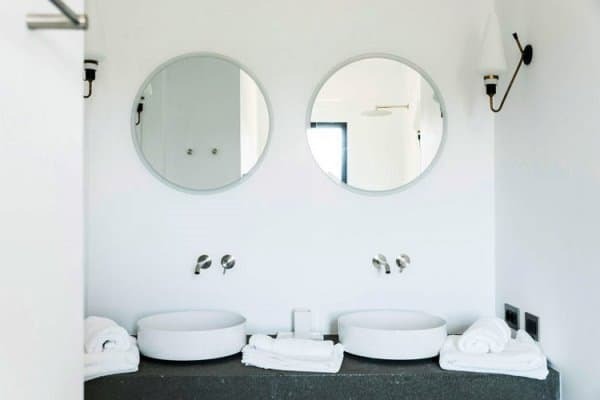 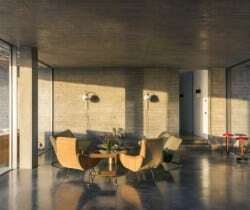 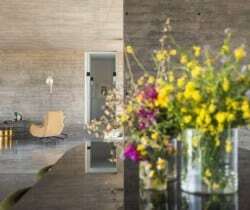 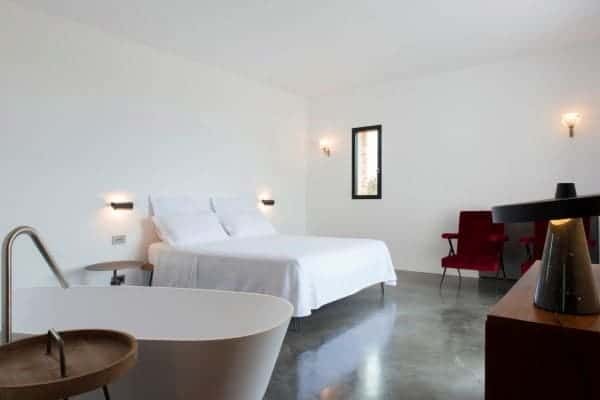 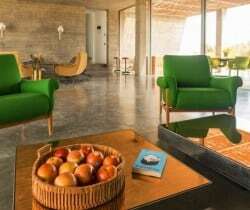 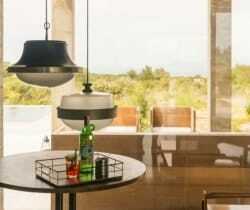 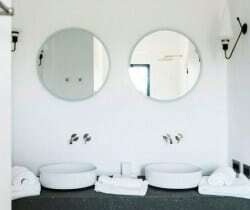 The exclusive designer and luxury property comes with a butler, and is quite unique for Formentera. 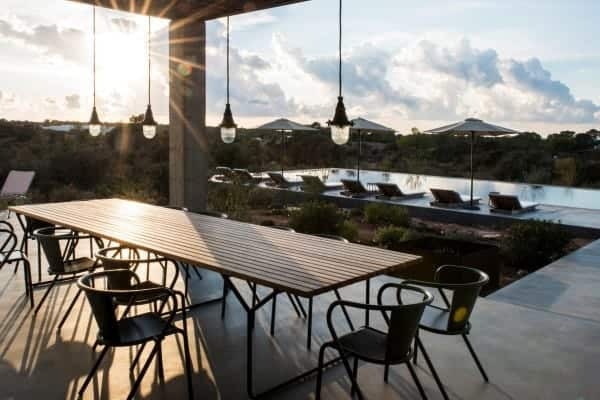 There are no other villas of similar quality available for holiday rental and that is suitable equally for couples, a group of friends or a family who desire a particularly impressive and elegant holiday alternative away from it all in spectacular scenic nature.